Newcomer Family Obituaries - Johanna L. 'Jo' Thompson 1945 - 2019 - Newcomer Cremations, Funerals & Receptions. 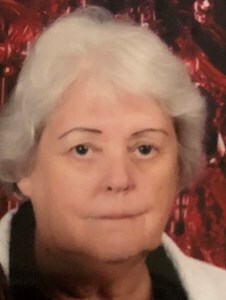 Johanna "Jo" L. Thompson, age 73, passed away February 6, 2019. Jo is predeceased by her mother, Evelyn Smith, sister, Jane Smith and aunt and uncle: Bruce and Madeline Lawhun. Jo is survived by her loving husband of 30 years, Don Thompson, children: Martin (Tabatha) Metzon and Ellen (Ty) Hayden, grandchildren: Josh Metzon, Chase Hayden and Courtney Metzon as well as many loving extended family and friends. Friends and family may visit Sunday February 10, 2019 from 3 pm - 6 pm at Newcomer Southwest Chapel, 3393 Broadway, Grove City Ohio where a funeral service will take place Monday February 11th at 10 am. Burial to follow at 1 pm at Vinton Memorial Cemetery Vinton, Ohio. Add your memories to the guest book of Johanna Thompson. Jo was the friend you could catch up with after time apart and feel that you just talked to her yesterday. It would seem as though you were good friends who never were apart. Jo was kind and forgiving, she was caring and down to earth. Jo liked to read and was very intelligent. Jo was a loving and caring mother; as a result, Martin and Ellen are successful in family life and careers. Jo only had good things to say about her daughter-in-law and son-in-law. She loved the grandchildren and enjoyed being part of their lives. She was happy with her husband Don. I am proud to call her my friend. May God bless and comfort you, her family. Be assured that she is safe in the arms of the Lord. Jo was an amazing lady that loved her family with all her heart. She was always there to show love and support. She will be so greatly missed. Thoughts and prayers for you all. To the family: My heart is heavy in learning of the passing of my friend. Just want you to know my prayers are with you.